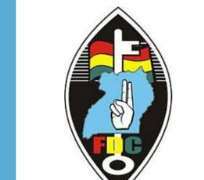 Statement well justified if one could recollect the masked division in the Uganda’s strongest opposition party Forum for Democratic Change (FDC). A week down after the blue coated party Presidential elections, winners still joyous and the has-beens look for alternatives to harmonise their co-existence with the jubilant as uncertainties trap their future in their respective positions in the party and in the Parliament. Expressions hardly lie, the FDC is profuselycomposedof two parallel ideologies, the Grassroot reach led by the former party President (Gen Mugisha Muntu) now calling for Dialogue and the Defiance camp that was initiated by the party founder Dr Kizza Besigye and now re-fuelled by the newly elected party president (Eng Patrick Amuriat). In the just concluded party Presidential campaigns, Muntu justified that building a strong party with a huge grassroot reach would assure Ugandans that the party could win and manage power properly, while Amuriat argued that the only strategy to be employed by the party was deﬁance (demonstrations and running battles with the Police). To justify the flawing of FDC and reason to show that one ideology will have to stand, on 29th November, 2017, the insider (Uganda’s online news organisation) reported that Amuriat set a committee to punish moles in which Gen Muntu has been for several times referred to by some party members. However,Muntu and some hardy party members occasionally refuted the allegations, though Amuriatstill vowed not to tolerate people who are working with enemies of the party to pull it down citing among others the Kampala Minister Hon Betty Kamyawho had to quit. Defending Muntu, Hon Reagan R Okumu, MP for Aswa county, Gulu District once said that when Gen. Muntu was removed from the Army Command, he was offered to go for training, he declined to accept this offer and asked the President to give the opportunity to the young people. In the story published by the Edge (Uganda’s online news organisation), Hon Okumu as well reiterated thatMuntu is an exceptional leader. Therefore the fortune of Gen Mugisha Muntu and his allies in the party remains unsettled and the future of FDC under the leadership of Defiance would be a story subject to debate as Muntuvows not to leave the party amid the uncertainties.